This product is universal for pedal and motorcycle and easy to install! 1. 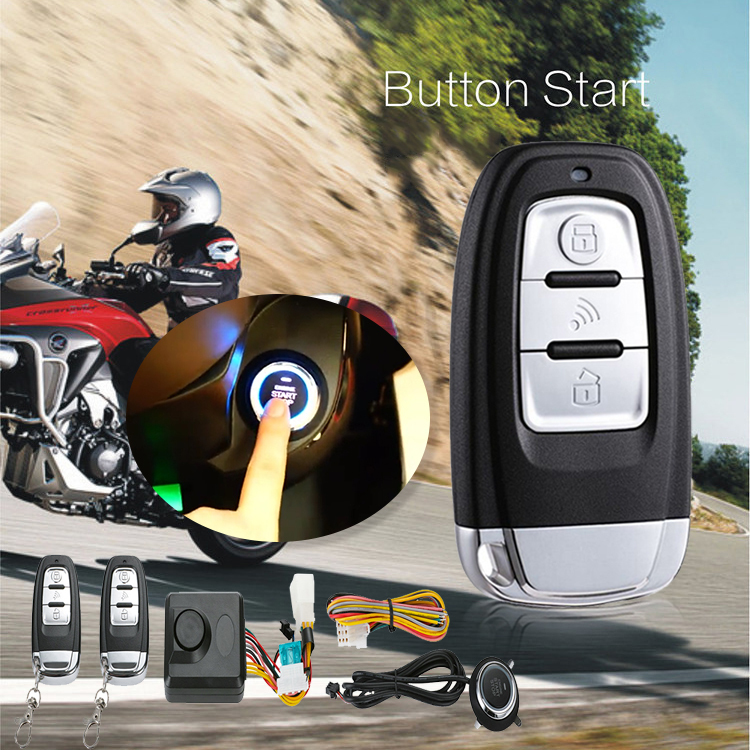 The motorcycle starts the PKE intelligent inductive anti-theft system with one button. After the car is away from the car in 0.5-2 meters, the anti-theft system is automatically released, and the whole car is powered. Press the button to start the car and enter the startup state. After one-button to power off in 2-3 meters, the anti-theft device is automatically armed in 2 seconds; intelligent personalization; built-in large volume speaker alarm! 2. This motorcycle one-button start is suitable for all non-restricted start-up motorcycle installation, DC, AC, EFI large displacement locomotive models are all common! 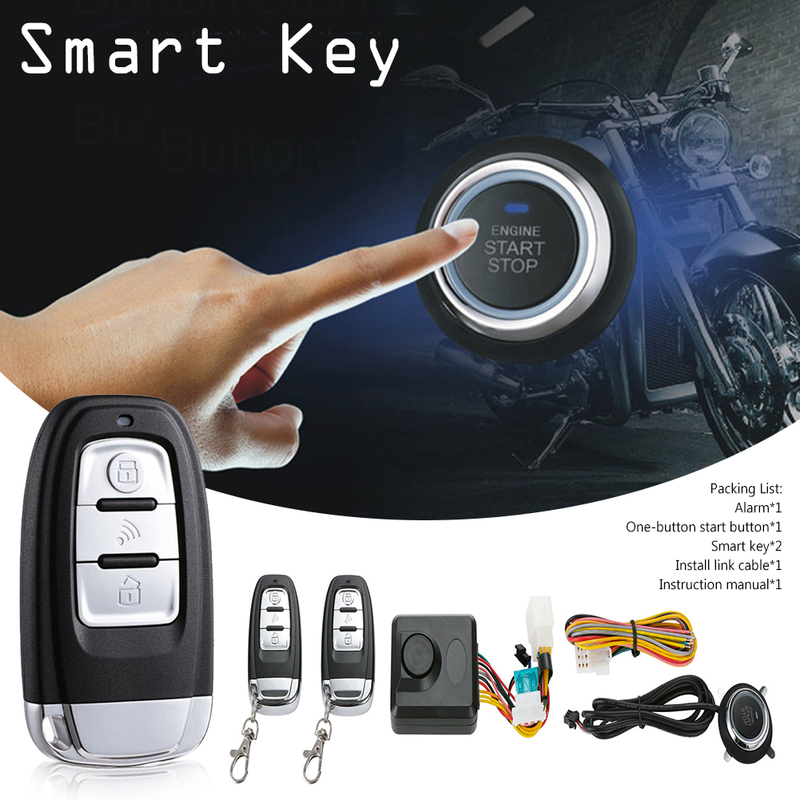 Different from the traditional mechanical key ignition method and the traditional start-up program, the start-stop can be realized by simply pressing the start button, avoiding the trouble of losing the key and finding the key. 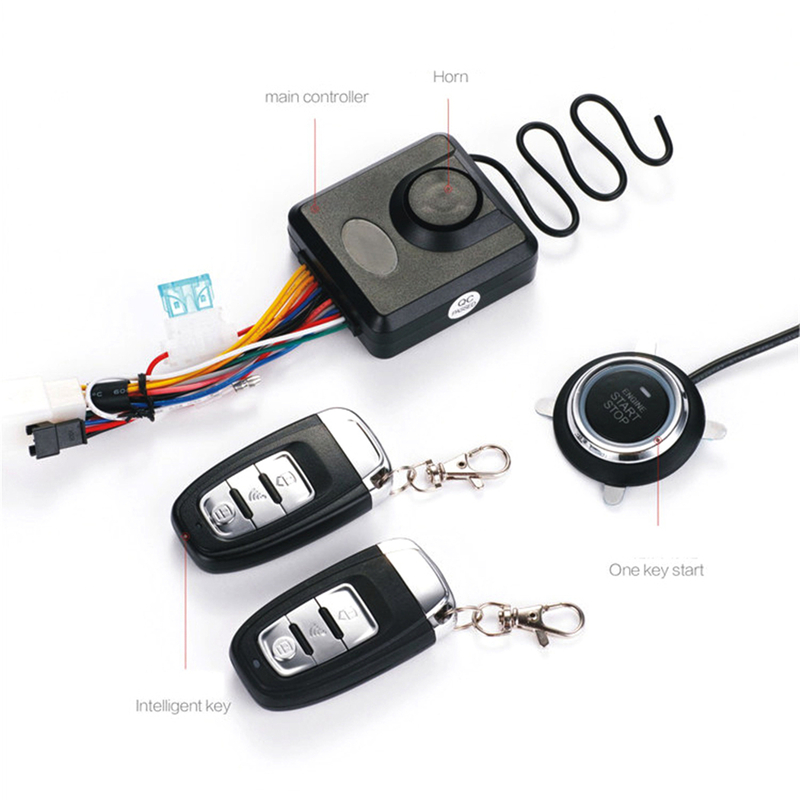 After the induction key enters the range of 0.5-2M, it is close to start car to drive. Usually suitable for scooter installation, the rider needs to enter the neutral gear state to activate the next button. Universal for all brand motorcycles. 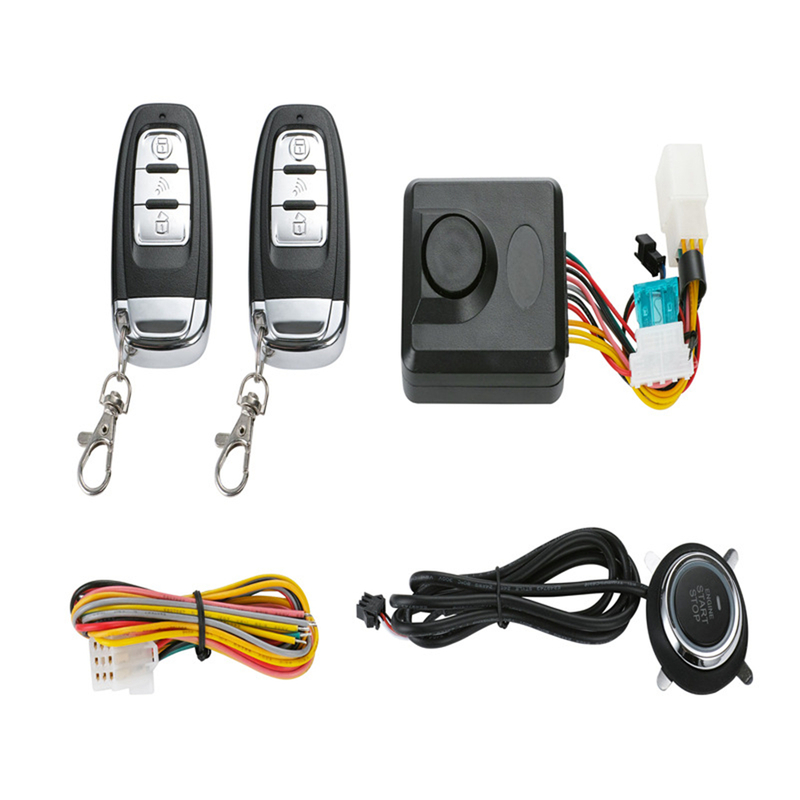 It is fully controlled and conversed by chip with stable and reliable performance, simulating the original car key start mode OFF-ACC-AN-START-ON-OFF; normal implementation of each work function. When you approach to the vehicle, the PKE intelligent detection system will automatically turn on the whole vehicle circuit within the range of 0.5-2M. 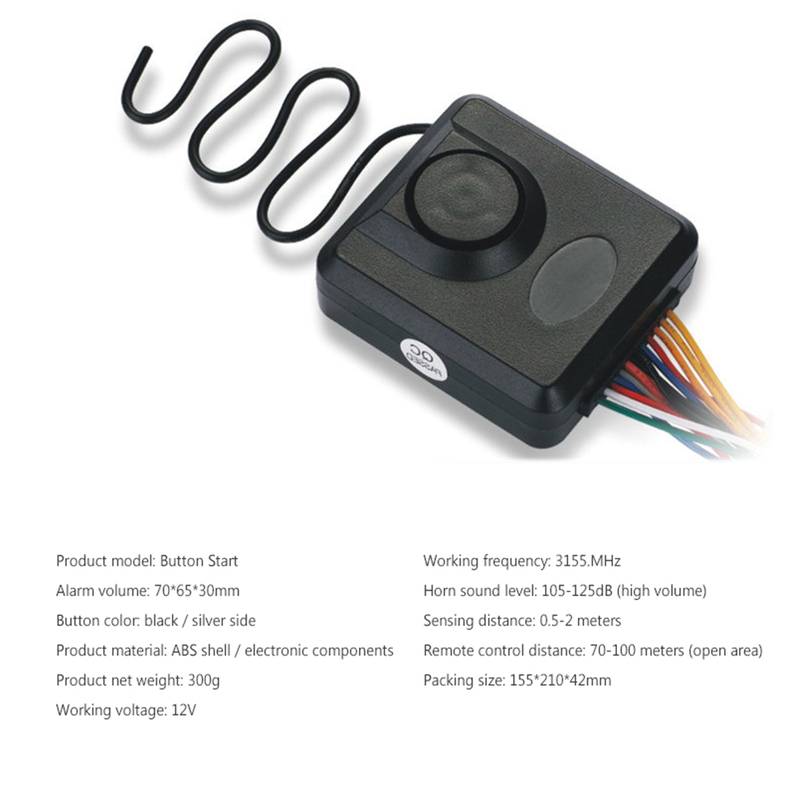 The one-button start indicator lights up, and the sensing distance is stable and non-directional. The speaker sounds short and loud. Intelligent product design, when you approach the vehicle at normal speed, the system automatically unlocks and greets you! 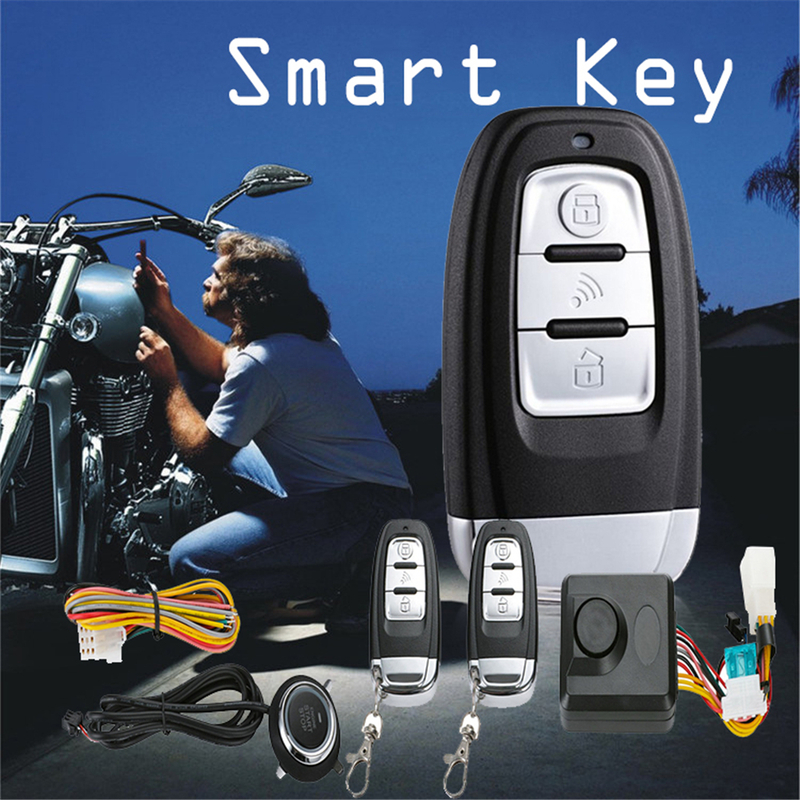 When you leave the vehicle, the PKE detection system can\'t find the “smart key” signal within the set range. The system will enter the armed state for the first time. At the same time, the turn signal will flash, the speaker will alarming short, prompting the owner that the vehicle will automatically enter the anti-theft status. 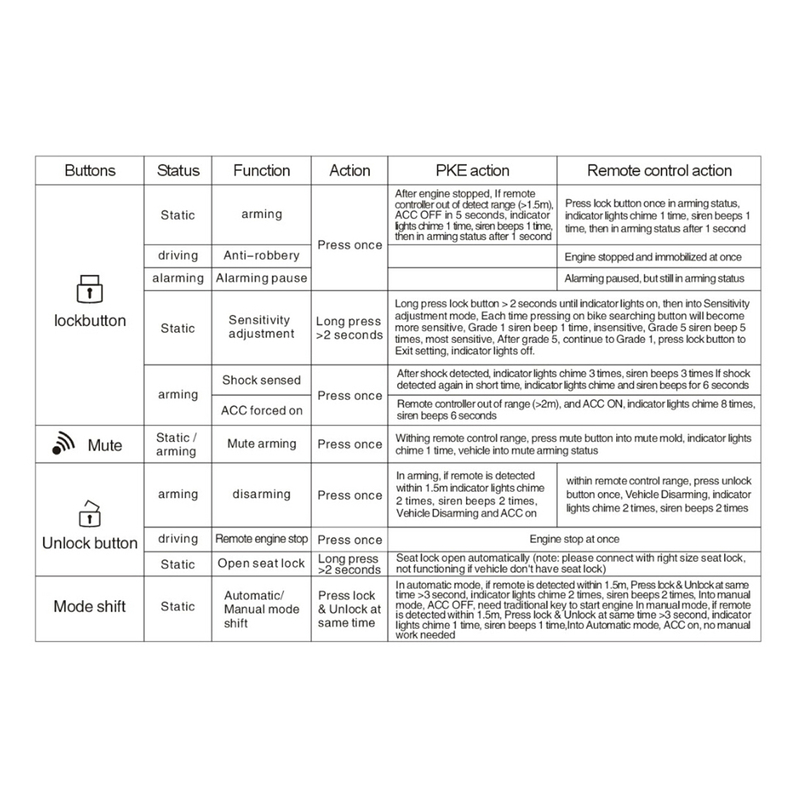 The "automatic" sensing working state is set on the smart key, and the "manual" remote working state can be selected according to the usage habits, and the two modes can be freely switched. When entering the anti-theft state, the intelligent system only uniquely identifies the owner with the spare key. 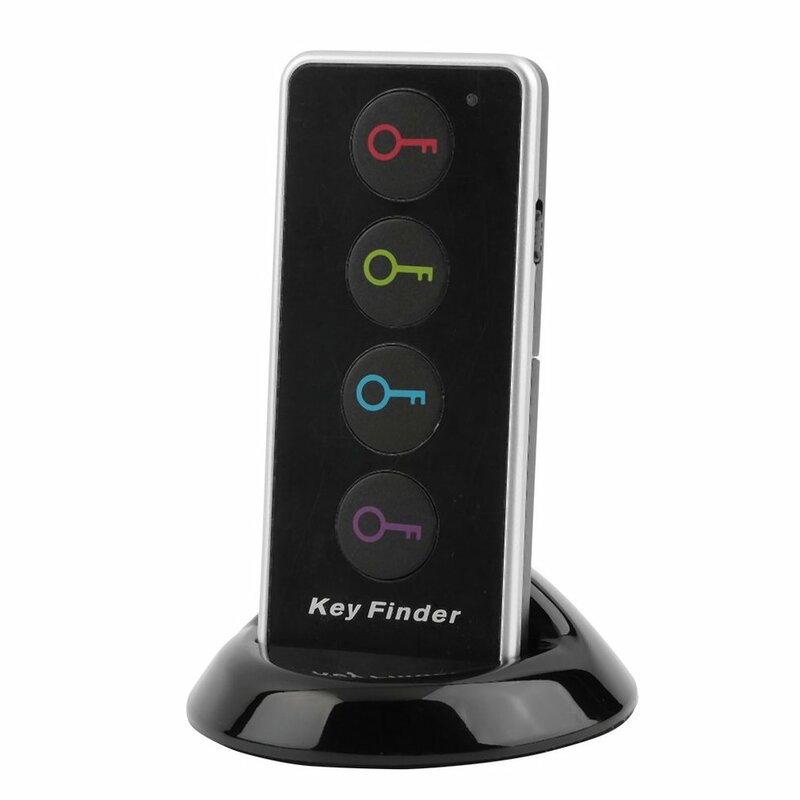 If the smart key is unlocked and forced to start, the system automatically considers it illegal operation, in the meantime sends a vibration, sound and light alarm.